The original and still the best Bar-B-Que servicing Folsom, CA an surrounding areas is at JR’s Texas Bar-B-Que. Taste the difference! So remember JR’s Texas Bar-B-Que the next time your event calls for BBQ catering. Call us today to learn more about our catering options. 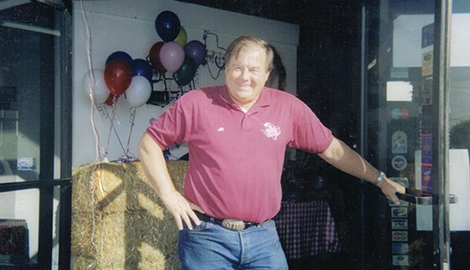 But the real star of the show here are our Bar-B-Que meats, smoked to perfection and served with a smile. Why not let our family take care of your family when you come dine with us at JR’s Texas Bar-B-Que? You will be glad you came! The next time you, your family, or your co-workers get the urge for delivery, step away from the pizza and call JR’s Texas Bar-B-Que. You will be glad you did, because we are the original and still the best. Taste the difference today! Family owned and operated since 1987, JR’s Texas Bar-B-Que is Folsom, CA’s and all surrounding areas best BBQ restaurant. Where can you go in greater Sacramento and enjoy Bar-B-Que so good that you will swear you are deep in the heart of Texas? You will go to JR’s Texas Bar-B-Que, of course! 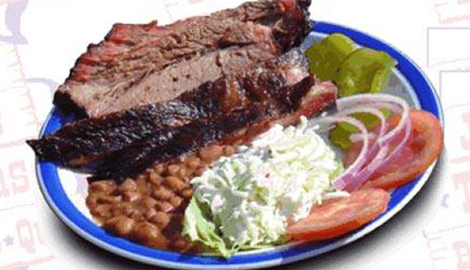 We serve Folsom, CA and all surrounding areas, and all of our meat is Texas smoked for unforgettably delicious flavor. Whether you choose to dine in or order delivery, you will be blown away by the amazing taste of our award-winning Bar-B-Que. Enjoy genuine mesquite smoked beef, pork, chicken, and even turkey served up hot, fresh, and delicious at our family owned and operated BBQ restaurant. Our brisket, ribs, and links are the stuff of legend around town. Our combination plates and signature hamburgers are fan favorites too. And do not forget to try our great desserts! 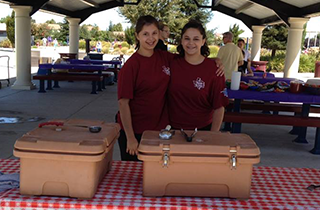 We have been serving our brand of Bar-B-Que meats to Sacramento area diners since 1987. Over the years, we have become good at it, if we do say so ourselves. Just how good, you ask? 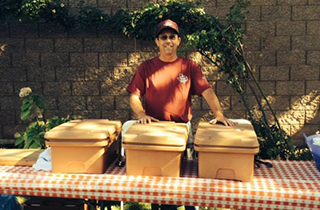 For five years straight, we won the California Restaurant Association Best BBQ award. 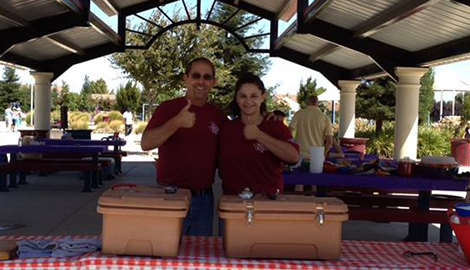 We have also recently won the coveted California Restaurant Association 5-Star Award for best BBQ and best catering. That is right; we also do catering. We specialize in parties and banquets, delivering the same delicious menu items that we offer in our restaurant. As for delivery, we do that too! We will bring our award-winning BBQ cuisine to your home or office, and our delivery staff is always prompt and professional. When you are craving Bar-B-Que, why not head on down to the best Bar-B-Que joint in town? Head to the restaurant with 28 years’ experience in smoking tender, delicious meats. Head to the joint that has wowed critics from Sacramento Magazine, the Sacramento Bee and the Sacramento News & Review. 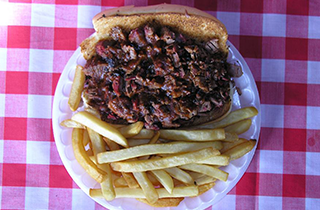 Head to JR’s Texas Bar-B-Que for the original and still the best Texas Bar-B-Que, catering, and delivery in town.